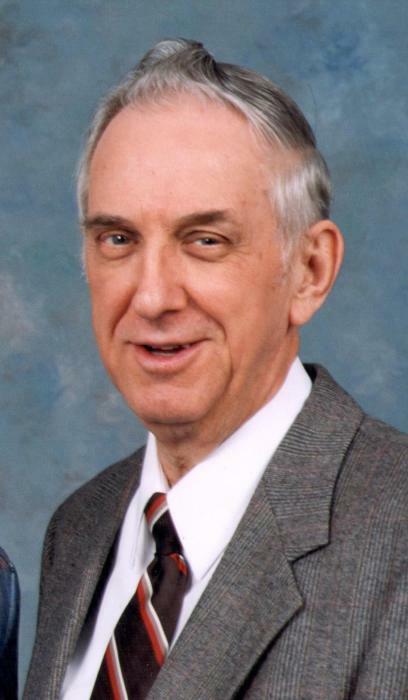 Obituary for Dr. Ralph E. Geary | Graft-Jacquillard Funeral & Cremation Services, Inc.
Dr. Ralph E. Geary, a longtime resident of Scottdale and local chiropractor, passed away peacefully, Saturday, April 13, 2019 in his home at the age of 89. He was born March 3, 1930 in Frostburg, MD a son of the late Raymond Charles and Bertha Ellen (Miller) Geary. Dr. Geary was a 1952 graduate of Logan College of Chiropractic, St. Louis, MO and earned his pre-chiropractic requirements at the University of Pittsburgh at Johnstown. Since 1963, he operated Geary Chiropractic along-side his wife, Betty Jean, eventually practicing with his son, Dr. Daniel R. Geary. He continued working until 2018 caring for his patients which spanned a total of 66 years. He was a member of the PA Chiropractic Association, the International Chiropractic Association and the Kentucky Chiropractic Association. He was a member of Trinity Reformed United Church of Christ, Scottdale where he served as an elder, deacon, usher, a member of the church consistory and was a Sunday school superintendent. He enjoyed playing on the Reformed dart ball team where he had been a member since 1970 and ranks among the all-time league leaders in numerous categories. Dr. Geary held memberships at the Scottdale Elks Lodge #777 and was a 50-year member and past president of the Scottdale Rotary Club where he received the distinguished Paul Harris Fellow Award. He belonged to the Grand Lodge of Free and Accepted Masons of Ohio, American Union #1 Commander Knights Templar of Marietta, OH, Grand Council Royal and Selected Masons of Ohio and the Grand Chapter of Royal Arch Masons, Ohio. He is survived by his loving wife, Betty Jean (Hall) Geary, his devoted son, Dr. Daniel R. Geary and daughter in law, Susan; a brother, Thomas Neil Geary and wife, Darlene and several nieces and nephews. In addition to his parents, he was preceded in death by a sister, Emma Jane Sanford.